Ukraine International Airlines will expand its domestic flights network and start operating regular flights between Kyiv and Chernivtsi on July 12. The tickets can be purchased online, at the box office and contact centers of UIA, as well as offices of the authorized agencies of the airline, the press service of the airline reports. "Flights connecting Kyiv and Chernivtsi will be operated daily served by Embraer 145 aircraft with two classes of service - Business and Economy. 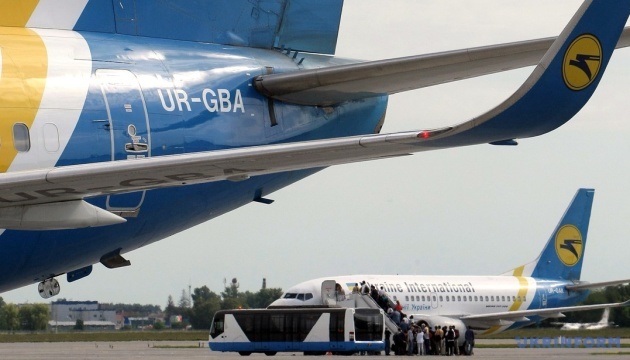 The plane will depart from Kyiv at 20.00 and arrive at 21.00 in Chernivtsi, while on the flight back from Chernivtsi- respectively at 7.00 and arriving at 8.00 in Kyiv,” the report noted. The price of economy class round trip ticket including all fees and taxes starts at UAH 1,126. The ticket price can vary depending on the fluctuations exchange rate fluctuations.